How to Make a Pan Flute. Making a pan flute allows you to experience the magical and mysterious sound that dates back more than 6000 years to Greek mythology. 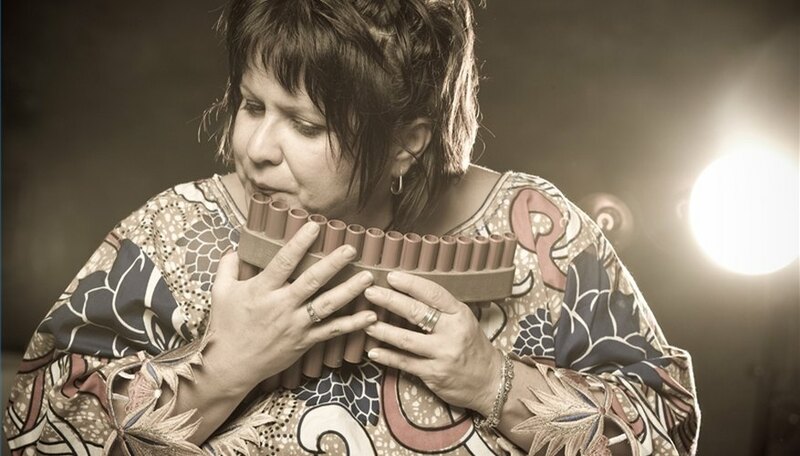 The sound of a pan flute can be sad and haunting or light and airy. The tubes of a pan flute can number from five to twenty-four or more and are usually made of bamboo. Today pan flutes can also be made out of PVC pipe. Purchase 3 feet of bamboo, with an interior diameter of about ½ inch, at your local craft store. If you live where bamboo grows, you can cut a 3 foot section and let it dry. Cut the bamboo into five sections being careful not to include the nodules, or joints, in the section pieces. These pieces should measure 6 1/16 inch, 5 3/8 inch, 4 3/4 inch, 3 15/16 inch and 3 7/16 inch. Cover one end of each pipe with a penny and secure it with electrical or duct tape. Each piece of tape should be 2 inches square. Wrap twine around the tape and secure it with hot glue from a glue gun. Lay the bamboo sections in a line from largest too smallest and glue them together, side by side, using the hot glue gun. Secure the attached bamboo sections with two areas of twine. Wrap the twine around all of the sections of the pan flute three or four times ½ inch from the top of the pan flute and ½ inch above the shortest section of the flute. Glue the ends of the twine securely with the hot glue gun. To make a sound blow into the pipe across the top. It is similar to blowing into an empty soda bottle. A pan flute with these measurements will sound the notes of C, D, G and A.